Dias: "The bargaining committee will not accept a deal without a commitment to investment in Canada's auto sector." Canadian auto workers represented by Unifor overwhelmingly authorized the union to strike the Detroit Three should it fail to reach labour agreements with the automakers next month. The procedural vote precedes the expiration of the automakers’ labour contracts with Unifor on Sept. 19. Unifor, which represents about 23,000 workers at General Motors, Ford Motor Co. and Fiat Chrysler Automobiles plants in Canada, will select a target company for pattern negotiations on Sept. 6. Unifor said 97.1 per cent of GM workers authorized the strike, while 98.9 per cent of Ford workers and 99 per cent of FCA workers did the same. 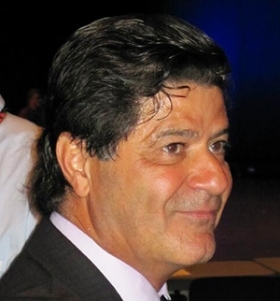 “With this clear mandate our members have demonstrated they are in full support of their bargaining committees, and our direction in this set of negotiations,” Unifor President Jerry Dias said in a statement. “The bargaining committee will not accept a deal without a commitment to investment in Canada’s auto sector." Dias has repeatedly said the union would strike any of the Detroit Three automakers if they failed to secure future products at GM’s Oshawa assembly plant, Ford’s Windsor engine plant and FCA’s Brampton assembly plant. “The membership took an important step today to support their bargaining committees, but our demand for new investment is not just about us,” he said today. “It is about maintaining and creating good paying jobs, it’s about our communities and it’s about the next generation." Dias said last month that while Ford and FCA have recognized Unifor’s hard-line stance on new investment, GM and the union were “miles apart” on a deal. GM has said it will not discuss new product at Oshawa, which lacks product commitment beyond the next several years, until after negotiations. “There will not be an agreement with GM until we have secured the footprint in Oshawa,” Dias said Aug. 10, adding that it is “a question of when,” not if, GM decides to invest in Oshawa. Local 222, which represents workers at the Oshawa plant, said 97 per cent of voters cast their ballots in favor of strike authorization, according to the local’s Twitter page. Unifor, Canada’s largest private-sector union was formed in 2013 as a result of the merger between the Canadian Auto Workers and the Communications, Energy and Paperworkers Union of Canada. Canadian auto workers last struck a Detroit carmaker in 1996, when the CAW walked out on GM. The union sought to secure jobs at an Oshawa fabrication plant and a Windsor trim plant.